You’ve probably heard this story before. There’s a lightbulb in Livermore, CA, that has been burning for 115 years. As far as anyone knows, it’s the oldest light bulb still working. It has gotten extremely dim over the years, but it’s never burned out. In fact, it’s only been dark a few times and that’s been due to power interruptions, not a flaw in the bulb itself. 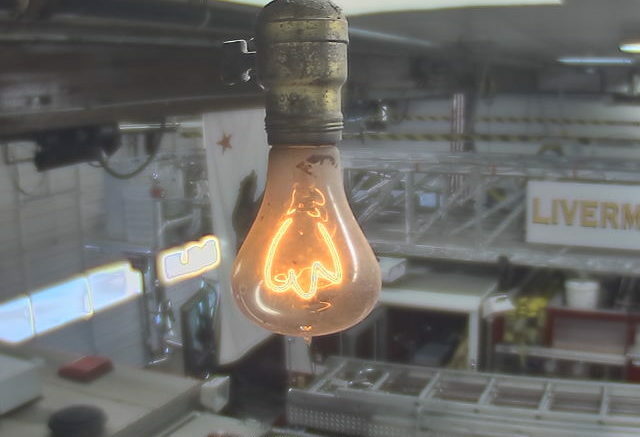 I’m reminded that there’s actually a web cam that watches the bulb; you can see an image from it above. It’s also a pretty old webcam, as it only updates once every ten seconds or so. Still, it’s almost hypnotic to look at. For much of the 20th century, there was this prevailing feeling that it was very easy and very possible to build a 100-year light bulb but manufacturers had stopped doing it because they wanted to sell replacement bulbs every few years. There’s probably a grain of truth in that, but it’s probably also true that people wanted cheap light bulbs and cheap light bulbs burn out faster. It wasn’t until the 21st century when incandescent bulbs went out of fashion and we started to see more long-lasting bulbs. Today you can walk into any home store and buy a bulb with the confidence that it will last a decade or more, and possibly longer with the right conditions. LED bulbs could easily last longer, assuming no power surges and reasonably good environmental conditions. These bulbs are cheap as well, but unfortunately come at a long-term cost to the environment. Incandescent bulbs are made of simple components like glass and tungsten and steel and there’s really no harm in putting them in landfills; they’re just wasteful of electricity and burn out too fast. LED bulbs aren’t great for the environment but the hope is you’re just not going to be throwing them away as often. And by the way, just to remind you of one of my favorite essays, I think the centennial light bulb is really awesome but those modern recreations are absolutely ridiculous. Don’t buy “artisan” light bulbs folks, and I’ll tell you why if you click through.